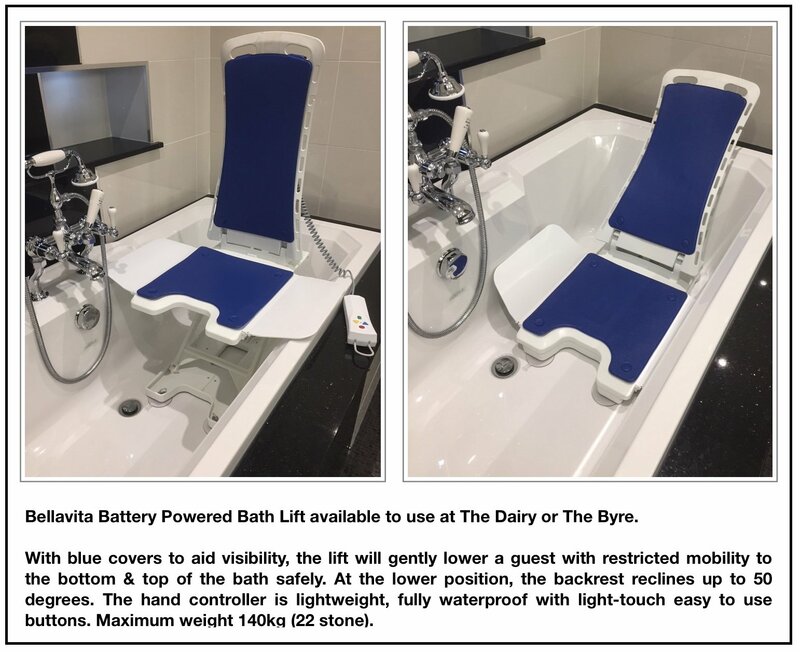 After 11 successful years running our luxury holiday cottage business, we realised that a number of our more elderly guests were struggling to cope with the stairs that we have in both our existing properties - and that we were having to turn down new guests as a result of not having an accessible option. 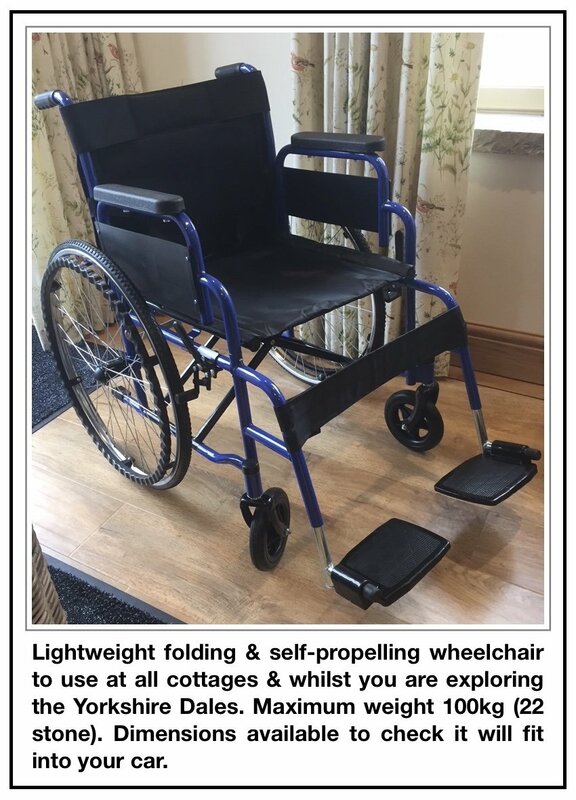 That got us thinking; how could we deliver the 5* experience that Cottage in the Dales prides itself on, but cater to a totally new 'accessible' demographic? 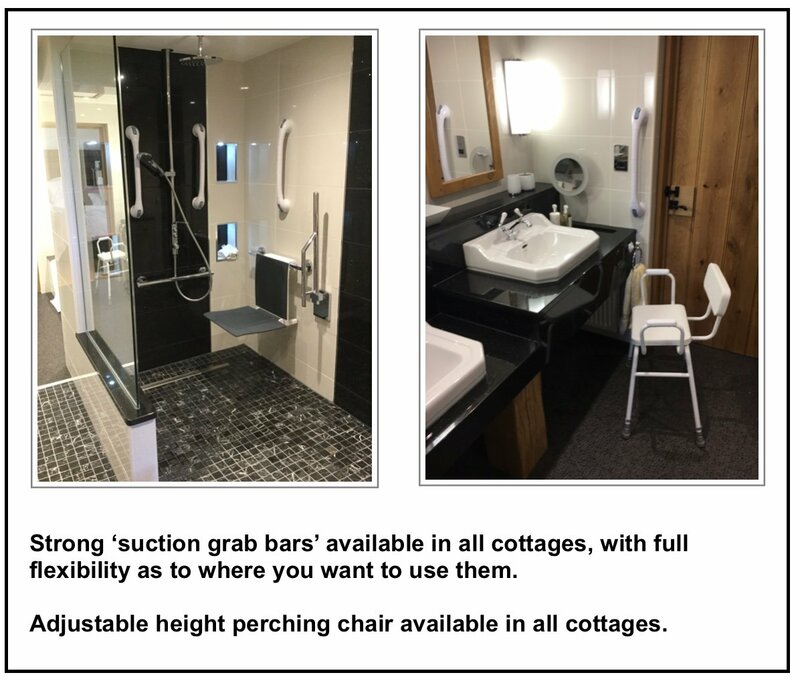 From the outset, our dream wasn't to just deliver an accessible property; we wanted to deliver our unique '5 star, Cottage in the Dales experience', but in an accessible way. Our vision was to bridge the gap between disabled and able-bodied, and deliver the same level of luxury experience, regardless of age or physical ability. 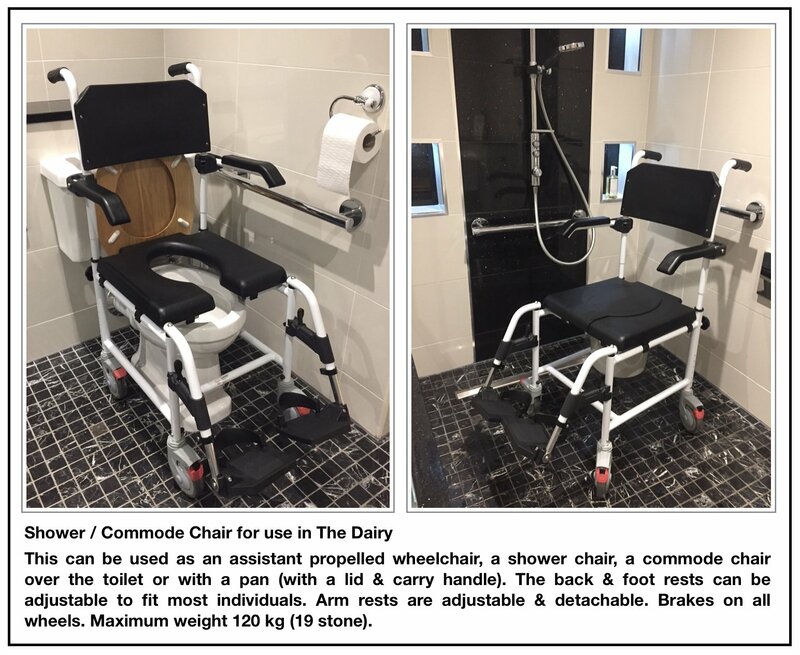 Our research highlighted that due to a clinical feel, many disabled properties don't appeal to able-bodied guests, and in reverse many luxury properties were unsuitable for disabled guests. We wanted to change that. On the site of our award winning 'best in Yorkshire 2016' and 'best in England 2017', 5* Gold cottage - The Byre, also stood a single-storey building, once used as a dairy. With the right level of planning permission, we imagined how this could be transformed and provide the answer that our guests were looking for. Click on the picture below to watch a short video for a tour around The Dairy where you will see the integrated accessible facilities. 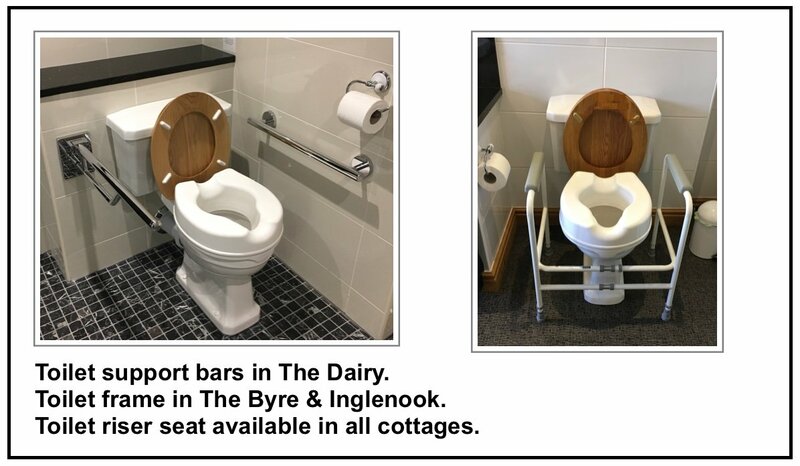 Launched in 2017 (after 5 years of planning negotiations), The Dairy from Cottage in the Dales, is the first tourist accommodation in the Yorkshire Dales to provide accessibility support for guests with mobility, hearing and visual requirements to the VisitEngland National Accessibility Scheme (NAS) standards. The Dairy aims to deliver a luxurious and relaxing 5* stay, regardless of whether a guest is able-bodied or not. At Cottage in the Dales, we want to offer the red carpet, not a red emergency cord. It's something that we're calling 'Accessible Luxury'; a premium hospitality experience, at an accessible price, that's accessible to all. Read the full press release at the launch of The Dairy. All 3 cottages have the new Accessibility Guide as launched by VisitEngland (October 2017) to replace the Access Statements. Please click on the relevant access statement to open and download the document. They are intended to provide a clear, accurate and above all honest description of the accommodation, current facilities and the services on offer. This allows potential visitors to make an informed decision as to whether the property and services meet their needs. Please do contact us if you wish to discuss any specific requirements or have any queries - large or small. We want to ensure that the cottage meets your needs. We would rather decline your reservation request if we feel the cottage would not be suitable to meet your needs. What levels of accessibility are at each cottage? What do these levels of accessibility mean? Below is a summary of the national standards of accessibility. Which one (or more) meet your requirements? 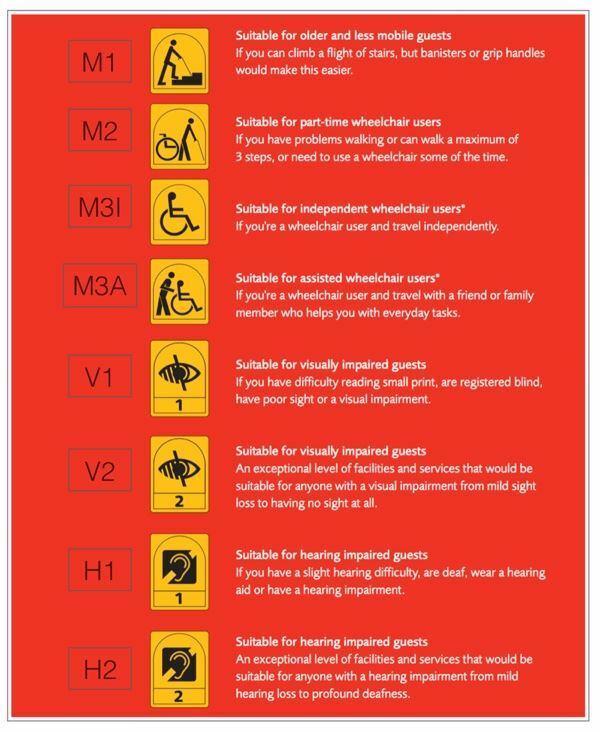 The accessibility guides / statements above for each cottage outline in detail what is provided to support the criteria for each standard. Do call us to discuss your needs and see below the facilities and equipment we are able to provide at each of the cottages. 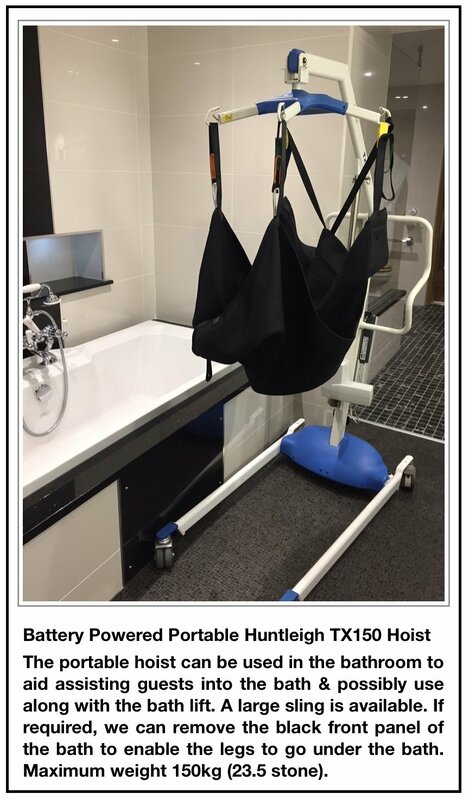 The wetroom at The Dairy can be provided with the integrated facilities - shower seat, grab rails - and then hey presto, if you don't need them they can be removed, so that only 'blanks' are on the wall. Take a look at the photos and then click on the photo and the video will launch in a new window. In the kitchen, as with any fitted kitchen, the cupboards under the sink and hob appear as they would for anyone to use. But they can be removed from the cottage totally so that wheelchair uses can easily use these facilities. Just like magic! Take a look at the photos and then click on the photo and the video will launch in a new window. The private patio at The Dairy is fully accessible from the lounge, where our guests can enjoy the views across the large garden and Bishopdale beyond. Guests can continue from the patio, onto the courtyard and across the level pathway throughout the large garden. 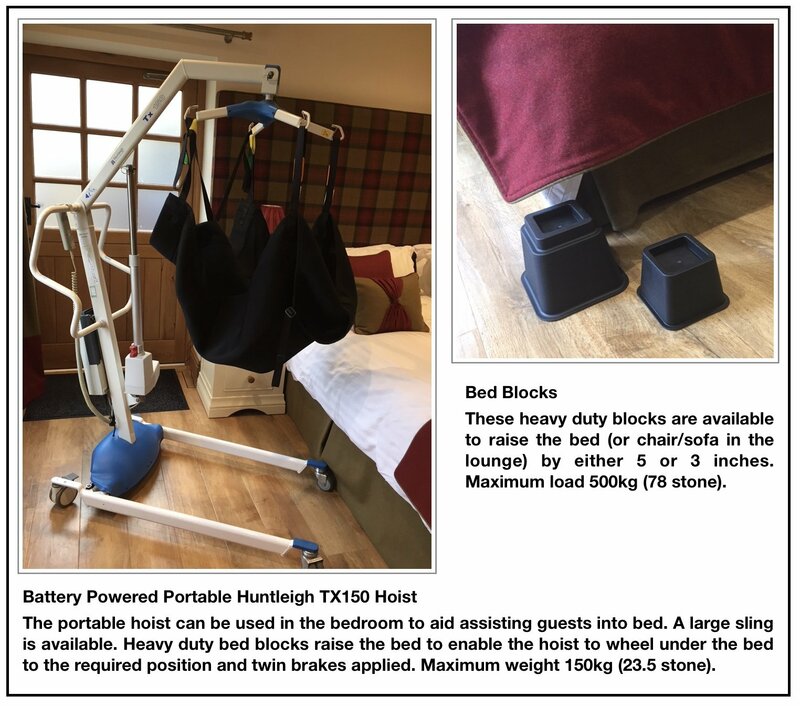 Cottage in the Dales is delighted to provide the following accessible equipment available at no additional cost to our guests. 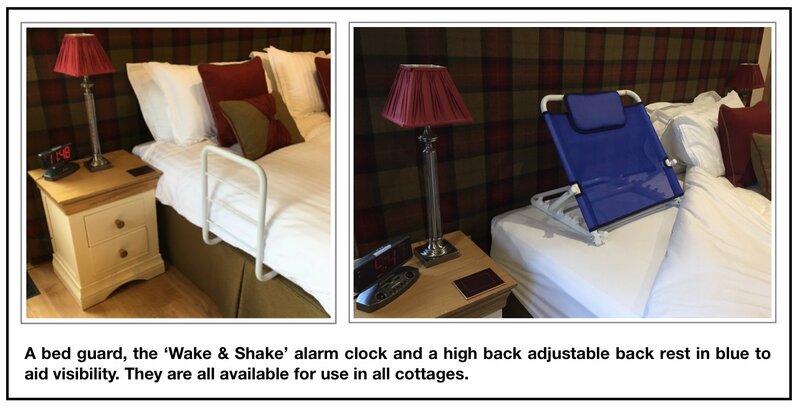 The portable equipment is available to use at any of our cottages, unless it is specifically specified for an individual cottage. Please just let us know in advance the equipment that you need and they will be in cottage awaiting your arrival. Do call us if you wish to discuss your requirements. ... more photos to follow very soon!